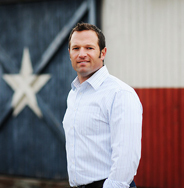 Since I commented on Speaker Straus' headlining of a fundraiser for State Representative Patrick Rose, I have gotten to know his opponent, Jason Isaac, and the people of HD 45. Many people had told me that Jason was "the real deal," someone who stands by his principles and can beat Rose with an impressive grassroots effort. Fair enough, that sounds pretty good, but it wasn't until June 22nd that I fully understood this sentiment. On June 22nd Jason Isaac had a fundraiser at the Railroad BBQ in Kyle, Texas with State Representatives (and staunch conservatives) Dan Flynn and Phil King. Holding a meet and greet or fundraiser for a state representative is pretty difficult. Sadly, most people don't know who their state representative is or what district they even live in! As you can imagine, drawing a crowd at events for candidates for state representative is even more difficult, but Jason did it. Originally, his campaign event had been slated for just half of the restaurant, but over 100 supporters ended up packing the place! A few of us were even left standing as it was difficult to find seating, listen to our speakers, and most importantly, hear when our BBQ was ready above all of the excitement. Now many people have said that Jason Isaac is "the real deal," but no one puts it better than Jason when he says, "I'm not a lawyer, and I'm not an incumbent." Nothing against lawyers, but in his standard Dickie's work shirts, Jason was making the point that he's just like anyone of us and understands what we need in Austin unlike his pampered opponent who calls himself a small-businessman but has barely owned a law firm for a few months, much less rolled up his sleeves and worked a hard day in his life. Jason Isaac is not afraid to be honest with the voters about who he is, while Patrick Rose is afraid and for good reason! Throughout the evening, Jason met with as many people as he could and even shared some personal stories with us; some were even kind of embarrassing, but that is the kind of down-to-earth and personable person that he is. On the other hand, when he is out campaigning, Patrick Rose consistently hides from his record and never calls himself a Democrat. He knows that he does not represent the people of HD 45 and must misrepresent himself to get elected! Jason Isaac does not have this problem because he would do an excellent job at representing HD 45 and is eager to meet and speak to his neighbors. Texas is not the land of the elite, entitled, and pampered. Texas is the home of the hard-working, God-fearing, family-oriented man who understands that the government that governs best, governs least. The people of HD 45 have a clear choice in Jason Isaac, and by the strong showing of support I saw at his fundraiser, I think that it is about time Patrick Rose starts either looking for a real job, updating his resume, or spending more time learning how to run a small business.